Electrifying Villages and Schools is a commitment to expand energy access for the poor household and underserved schools in Karnataka, India. In partnership with the Applier Materials Foundation, small-scale sustainable infrastructure development fund, and SELCO Solar Light Pvt Ltd, the partners will provide 1100 households and 10 schools to gain access to reliable and sustainable electricity. The Applied Materials Foundation (AMF), in partnership with The Small-Scale Sustainable Infrastructure Development Fund, Inc. (S3IDF) and SELCO Solar Light Pvt Ltd. (SELCO), commits to grant $230,000 to expand energy access for poor households and underserved schools in India through Electrifying Villages and Schools in India: Part II. This project is divided into three components: electrifying households by providing household lighting for 1100 households and energizing schools by providing lights and educational equipment in 10 schools. This commitment, Electrifying Villages and Schools in India: Part II, builds upon the successful work completed in 2012 through the AMF's 2011 Commitment to Action Electrifying Villages and Schools in India. Through this expansion the number of beneficiary households will increase beyond the previous goal by 100 for a total of 1100. In addition, this commitment will include a greater focus on marginalized households that, as a result of their socio-economic status (members from previously scheduled castes, tribal communities, etc.) and/or their remote or otherwise "difficult-to-service" locations (urban slums, remote rural villages, etc. ), face energy access challenges. There will also be increased focus on powering digital electronic media and promoting a more inclusive education system. Applied Materials demonstrates its value as a global citizen in part by the strategic investment of financial and human resources to improve communities, create opportunities, and offer a brighter future to people around the world. Applied Materials and the Applied Materials Foundation focus charitable giving in the areas of education, civic development, the environment, and arts & culture. Education - Increasing access for underserved youth to high-quality education that prepares students for success in life. Arts and Culture - Enriching communities, promoting creativity, and encouraging appreciation of cultural diversity through artistic expression. Civic Development - Building stronger communities to improve the quality of life in our neighbourhoods. Environment - Supporting environmental education, engagement and innovation with a focus on underserved communities. Tech Awards - The Tech Awards program inspires global engagement in applying technology to humanity's most pressing problems by recognizing the best of those who are utilizing innovative technology solutions to address the most urgent critical issues facing our planet. Encouraging employees to help improve the way people live through volunteerism and giving. Employees are passionate about a number of critical social issues and Applied's community involvement programs support them in making a difference around the world. The Applied Materials Foundation matches charitable donations made by employees to eligible non-governmental organizations and K-12 schools. Employees volunteer – as individuals or as teams – for a variety of causes of interest to them. And, during an annual Food Drive, employees rally to help alleviate hunger in their local communities. Creating products based on end user needs: going beyond just being a technology supplier but customizing our products based on individual needs. Installation and after-sales service: dedicating regional energy service centers to ensure prompt maintenance and service. Standardized financing packages: creating channels for end users to afford systems based on their cash flow. 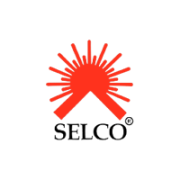 SELCO currently employs about 295 employees in in Karnataka, Gujarat, Maharashtra, Bihar and Tamil Nadu spread across 40 energy service centers. Since 1995, we have sold, serviced and financed over 1,50,000 solar systems to our customers. The Small Scale Infrastructure Development Fund Inc. (S3IDF) offers professional Advisory Services to build inclusive market systems that promote equitable economic and social development outcomes. They apply a systems­level approach to assess on­the­ground complexities, develop solutions to market barriers, and advise on project and program implementation. They increase the knowledge and capacity of public and private entities to implement inclusive business models and development strategies that leverage resources and mitigate risk. 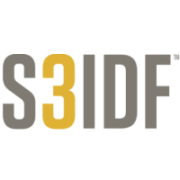 With offices in Cambridge, MA USA and Bangalore, India and a network of senior consultants and leading experts located throughout the world, S3IDF provides clients with responsive and tailored services. Services S3IDF partners with and advises public and private players to address development challenges. We create innovative business models and financing structures, conduct capacity building training and knowledge transfer activities, and foster effective collaborations.